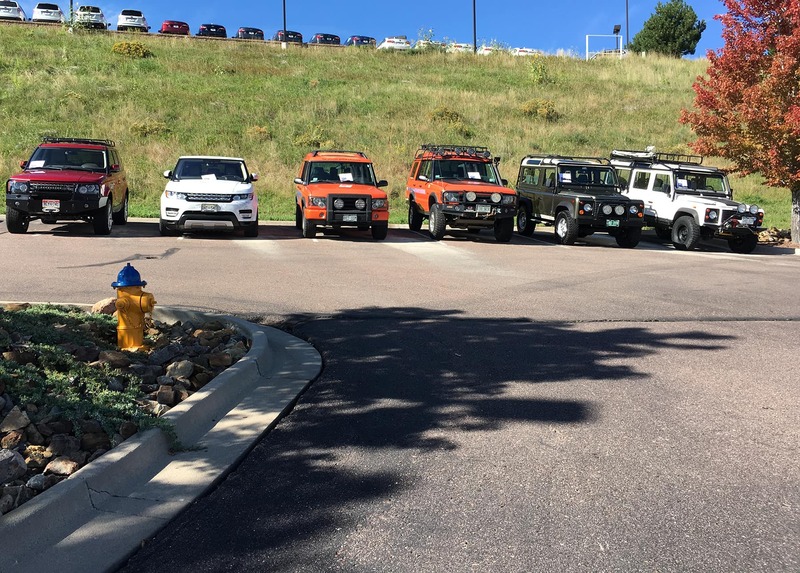 Jaguar Land Rover Colorado Springs will host local their annual British Motoring Festival Auto Show on Sunday, September 30, 2018, from 11am-2pm. 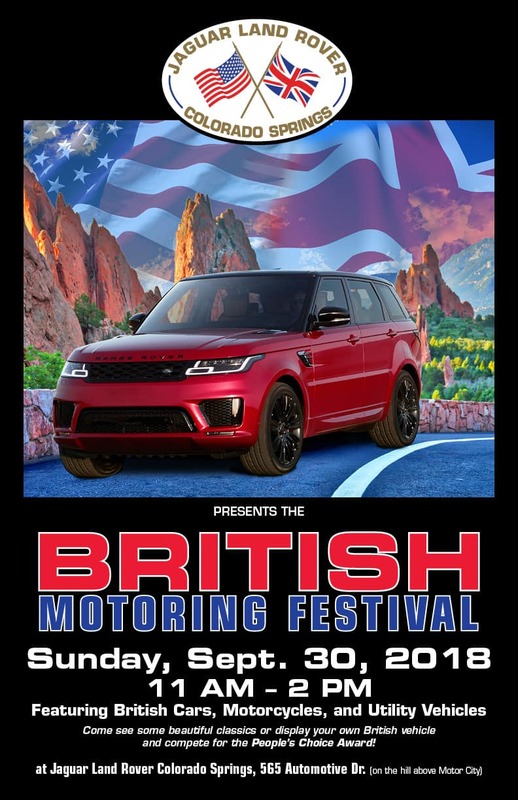 This Sunday, the local dealership will host the British Motoring Festival and Pikes Peak Concours d’Elegance, a free event for the community. 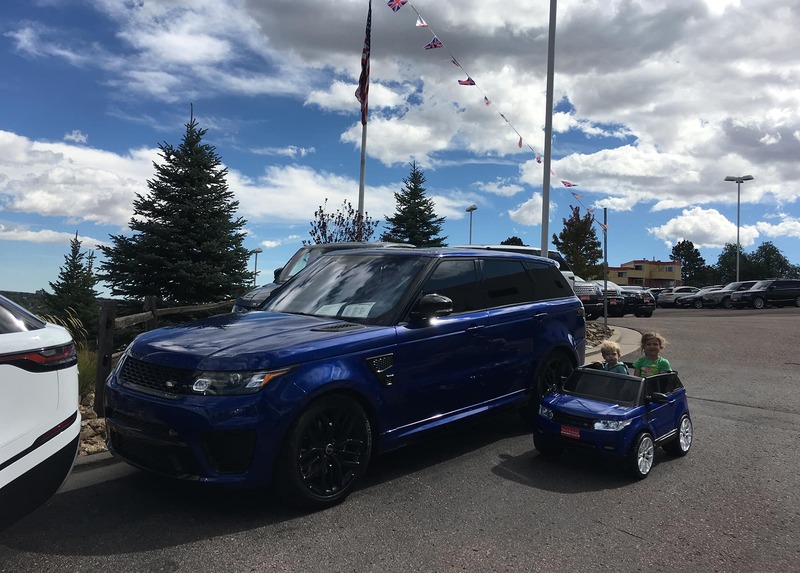 Presented by Jaguar Land Rover Colorado Springs and the Jaguar Club of Southern Colorado, this annual show and competition features prestigious British Cars, Motorcycles, and Utility vehicles owned by Colorado residents. Local motor enthusiasts will have the opportunity to get up-close to unique, antique, and striking British collections. “We are thrilled to continue our support of local community organizations such as the Jaguar Club and we invite the public to bring their British vehicle (car, truck, SUV or motorcycle) and display it at no cost at The British Motoring Festival” says Thom Buckley, co-owner of the Red Noland Auto Group and General Manager of Jaguar Land Rover Colorado Springs. “It’s a great event to bring the whole family to and see some fantastic vehicles. We will have a Best in Show as well as a People’s Choice award for the British Motoring Festival”. The Jaguar Land Rover building and parking areas at 565 Automotive Dr. will be opened up exclusively for the Festival & Concours, which runs from 11am to 2:00pm. A local eatery, Jack Quinn’s Irish Pub Catering, will be available for those who want to grab a bite for lunch. 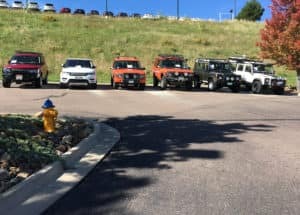 Jaguar Land Rover Colorado Springs has hosted the festival since 2006, but now hosts these on a Sunday. As such, the sales, service, and parts departments will be closed. However, there will be a “swag” tent, where enthusiasts can purchase Jaguar Land Rover clothing, keychains, and other accessories. “It’s an opportunity to just meet and mingle with other British car-lovers. Most of our new and used vehicles are going to be moved off-site for the event,” Thom adds. Additional information can be found online through Facebook and on Jaguar Club of Southern Colorado’s website or by calling 719-302-1000.